Mansfield ISD has been awarded the highest form of recognition in the area of governmental accounting and financial reporting. 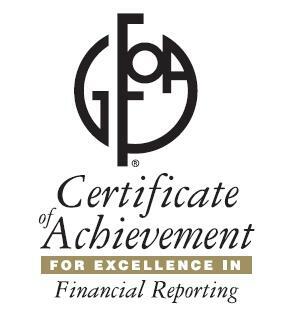 MISD received the Certificate of Achievement for Excellence in Financial Reporting from the Government Finance Officers Association of the United States and Canada (GFOA) for the district’s 2017 comprehensive annual financial report (CAFR). The report was judged by an impartial panel to meet the high standards of the program, which includes demonstrating financial transparency and clear communication. The employees of the MISD Business Services department will be formally recognized at an upcoming board meeting for their accomplishments. Read more information about the finance award here.